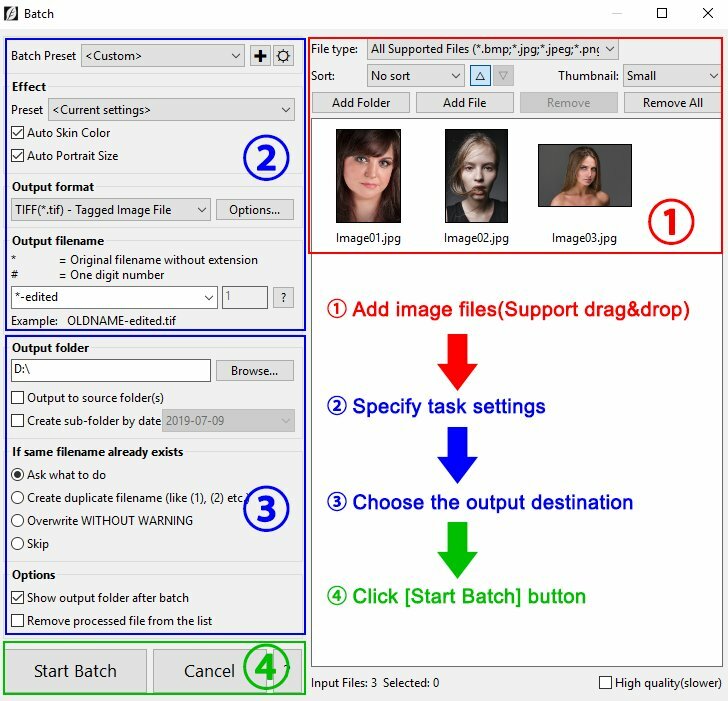 The Batch tool allows you to make similar changes to multiple images. To perform batch processing, click "Batch..." button at the top of the main window. Note: This feature only works in the standalone mode.